The kids are bored. You are exhausted (even more so than usual). It is hot outside. You can’t afford anything extravagant (groceries are expensive). 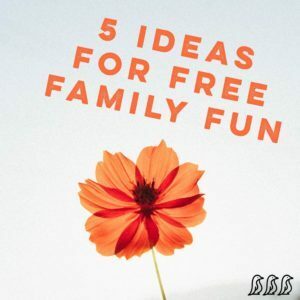 So, to save your summer and your sanity, I’ve rounded up a few free (or almost free) activities that you can do with your children over the next few months. Head to KidsBowlFree.com to find a bowling alley near you that is participating in this program. You can sign your children up to get two free games of bowling each and every day over the summer! If you don’t have a local bowling alley participating in the KidsBowlFree.com program, check with them anyway! The bowling alley near me offers their own free kid’s bowling program. There are certain days where anyone can fish in public waters without a fishing license. This is a great way to try out fishing with your kids for the first time without having to invest a lot of money into it. My boys are super-active, but they surprisingly love this calming activity! Most libraries offer free Summer Reading Programs, which may not sound like a super fun activity to your child. BUT… our library offers great prizes, like free Happy Meals, free ice cream, free baseball tickets, free railroad tickets and more. It’s a great way to keep your kid motivated to keep reading over the summer. Check with your local library to see what they are offering. Check out your local parks & recreation website (or even websites of surrounding areas) to uncover some great hidden gems! I have also simply googled my city name + easy hiking trails to find some great kid-friendly options within an hour drive. This is a great way to spend some time exploring & adventuring outside as a family other than simply going the local park for the hundredth time 🙂 If you want to add another twist to your hike, look into geocaching apps for your smartphone that let you turn your hike into a treasure hunt! (Not exactly free, but pretty close!) Regal has a Summer Movie Express program where they offer movies every Wednesday over the summer for only $1 a ticket! Each week, they show a different movie, so check their schedule for details and take the kiddos. If they only make it through half the movie, oh well… it was only a few dollars. Besides, you were in air-conditioning! Hopefully, these few activities help to keep the whole family happy and active… or at least keep you all from going insane with cabin fever.